Dosage: 5 to 8 grams of (depending on the desired effect). 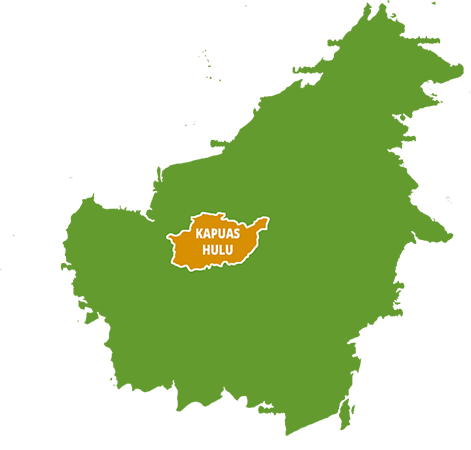 Effects last between 3 to 5 hours. 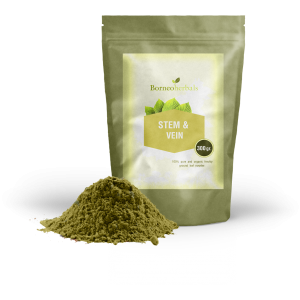 WWe sell again Stem and vein powder from our kratom harvested in Kapuas Hulu area. The stem and veins of our various strains are removed after the leaves have been dried. This stem and vein material is often thrown away, or even smoked by the harvesters and usually not being put to use. 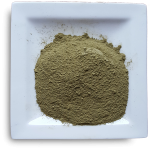 I have asked my supplier to save the stem and vein material of the various strains and make a powder of it since there is a lot of demand for it. 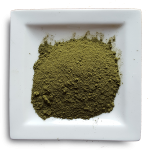 The stem and vein powder is powder made from the stem and veins of various strains (so it is not made of one single strain), so the alkaloid profile in stem and vein is a mix of the alkaloids found in white, green and red strains. 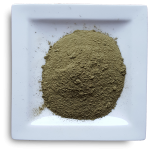 Therefor the stem and vein powder can be used alongside the other strains or as a stand alone kratom with probably a different effect from any strain. Also the alkaloids present in stem and vein material seem to be of a different composition of the alkaloids present in the leaf material.